Margaret Downey and FS have worked for many years to change the policies of the BSA and/or make sure they don’t get taxpayer funding if they insist on a policy of discrimination. Here are numerous articles and reports detailing our efforts. If you’d like to join us in this cause, please email volunteer@ftsociety.org. 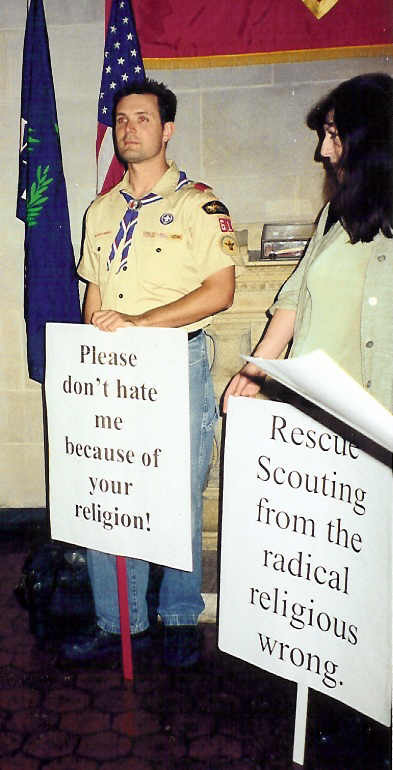 Scouting for all is a wonderful alternative to the Boy Scouts.